This one is a tasty saffron flavoured mutton korma,slowly cooked in mild spices and cream.Needs 30 mins cooking time.Enjoy!. Soak saffron in hot water. Prepare a masala paste of coriander seeds, 1 onion, almonds and garlic.then mix it with 1/2 cup yoghurt. Marinate the mutton in above mixture for 2 hours. Heat oil in a pressure pan and fry the chopped onion. Keep aside. Add the mutton and cook till the masala dries.Add one cup of hot water and pressure cook for 15 minutes.then keep it aside. Add salt, pepper powder, paprika powder and cook till oil sepataes. Add fried onions and the beaten cream. 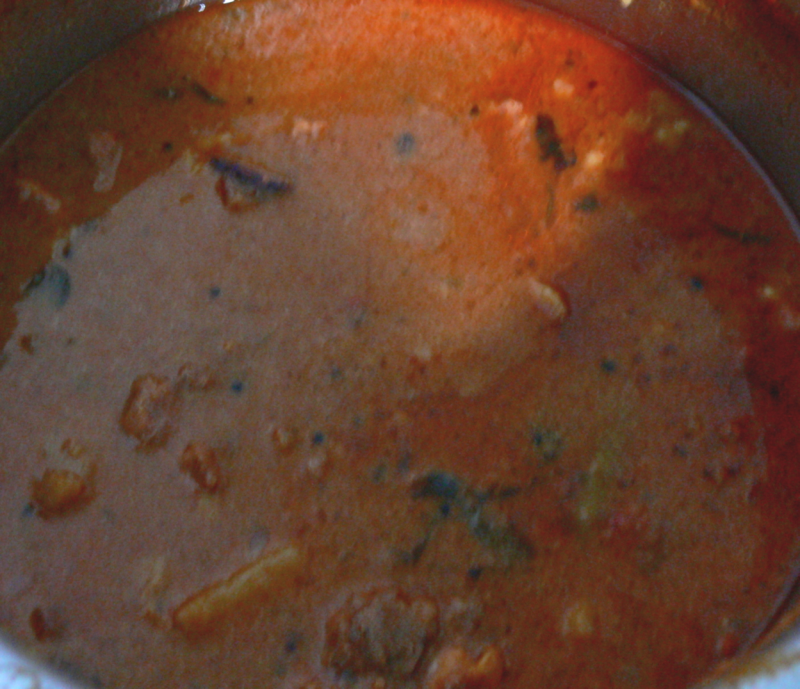 Add soaked saffron to the cooked mutton masala. Add garam masala and cook for 2 mins. Serve it over rice with chopped coriander leaves on top.